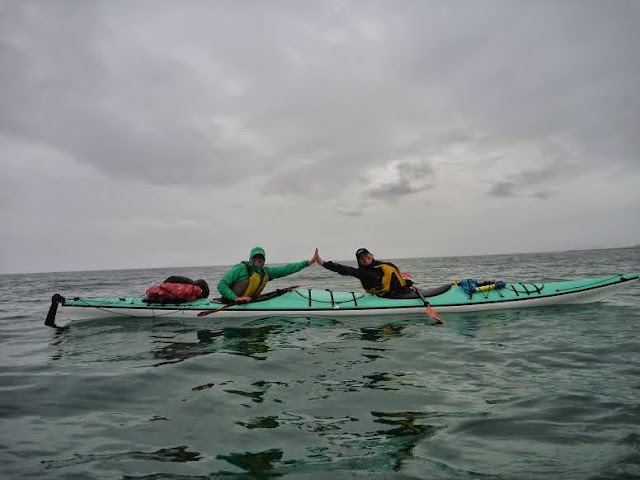 After returning back from an eight day kayak trip I had a busy three days of packing for another kayak trip and meeting my friend Laura at the airport! Laura quit her job and flew down to Loreto to join me for my last month in Baja. 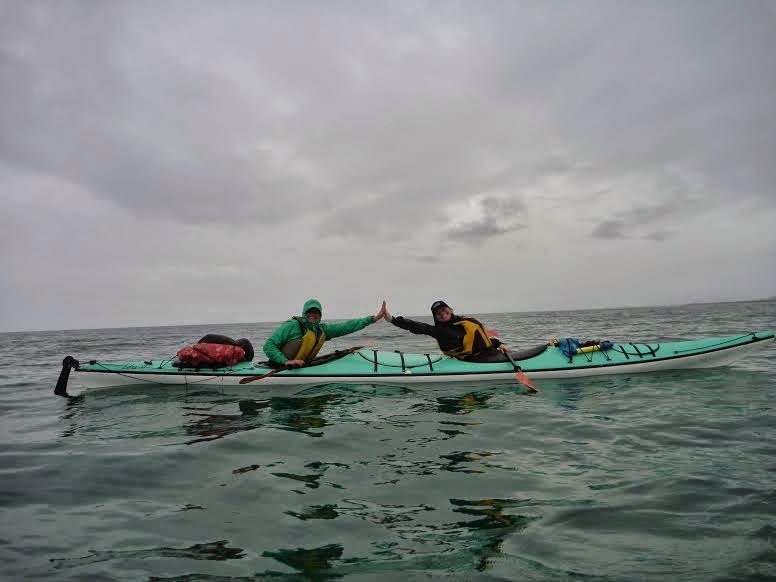 We were fortunate enough to get invited on a three day kayak trip to Isla Coronado with Baja Kayak Adventures. Which, included a panga ride to see the blue whales, largest mammal on earth. Leaving near Doctors Point the paddle to Isla Coronado was a quick 45 minutes. We had camp set up by lunch and ate a beautiful greek salad while enjoying the white sand and turquoise water. As the weather report predicted by the second day the dark clouds rolled in and so did the rain. 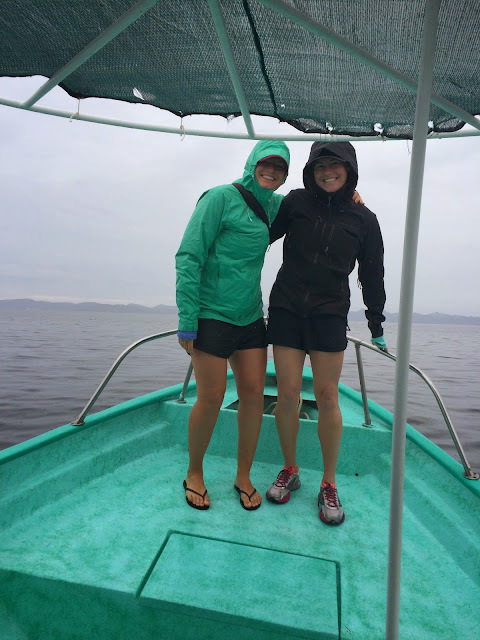 We pilled on the rain gear and loaded into the panga that had come from Loreto that morning. A little rain wasn't going to stop us from seeing the blue whales that spend their winter off the shores of Loreto. We also had the chance to circumnavigate Isla Coronado to see the sea lion colony. And naturally a pod of dolphins joined us and played off the bow of our boat. Life couldn't have been any better, except for the fact that I was numb from the waist down. 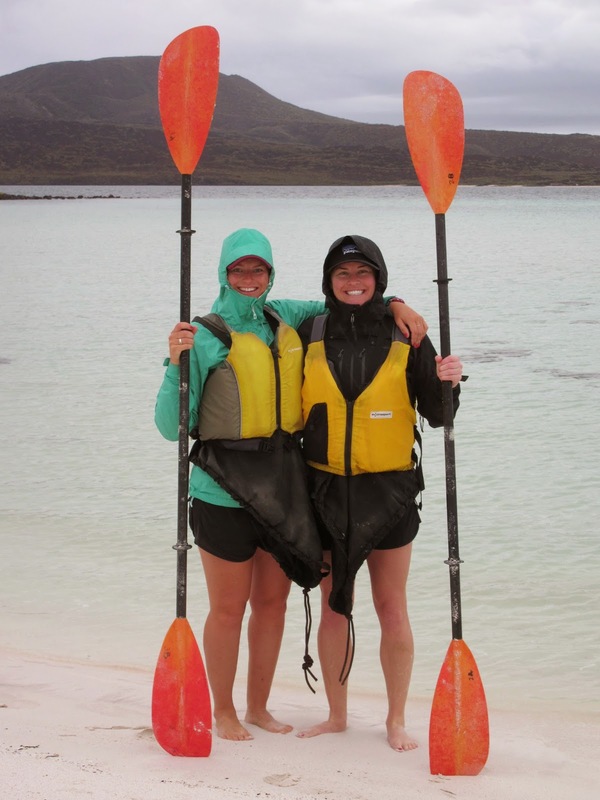 By day three we had settled into our rain coats and hunkered down for the paddle back to Loreto. We couldn't wait for hot showers.